ROI for his business is off the charts! Saul Reisman is an extremely articulate auto mechanic and businessman who understands the benefit to extreme customer service, while still constantly absorbing all the know-how he can to serve his customers better. From world sourcing parts to collaborative relationships with national and international vendors, Saul is building a spotless reputation for giving his customers an honest answer and on-time quality service. When preparing to market Saul’s automotive, we took a look at what specific services earned Saul the most profit. How and why our creative collaboration is working to increase Saul’s business. We will design or redesign your website to be a MARKETING machine. Fully designed to MARKET your business and generate qualified LEADS and CUSTOMERS. To draw every luxury car owner in Colorado, stern architected Saul’s Automotive website with no less than 60 SEO optimized landing pages. Each car page is complete with the vehicle’s history, and a video of Saul discussing that make of car or truck. When we work with your local business, the creative team at stern will do just as much careful research into your Local SEO masterpiece. We began to video Saul in his shop as he took us on a cohesive and understandable journey of just how he fixes everything from the Jeep “Death Wobble” to the clock in a Rolls Royce. He gives his audience real advice and valuable information. Saul now has over ONE HUNDRED FIFTY videos on his YouTube Channel. When you engage with Stern.Marketing, we will conduct a series of Stern Storming sessions to break down what you and your people KNOW, what they can TEACH and DEMONSTRATE and help your employees and YOU PERFORM on camera and deliver the PROOF that your LOCAL BUSINESS is trustworthy, has VALUE, and will DELIVER. Are you ready to #GetStern? 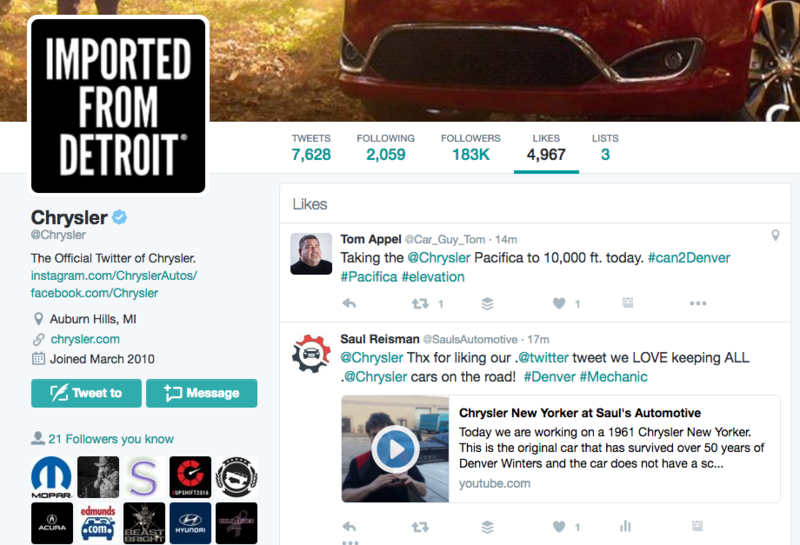 We have found the Twitter handles for every car made, tracked down the Facebook pages for every major manufacturer and local dealership, and brought NATIONAL and INTERNATIONAL attention to Saul’s Automotive from major auto manufacturers! To us, Social Media, Content, and Media all work together. Every one of the over 150 SEO optimized YouTube Videos of Saul are also uploaded directly to his Facebook page. The result for Saul’s Automotive has been a steady increase and stabilization of customers, profit, and income month after month. Are you ready to 2X, 3X, 4X or even 5X your profits, engagement, and influence? The Know, Like, and Trust factor comes to life. Soon after we began with our triple whammy combination of YouTube Videos, SEO optimized blog articles, video blogs, Facebook video posts, and Twitter mentions by major automotive manufacturers, Saul started to see results and a climb in revenue. 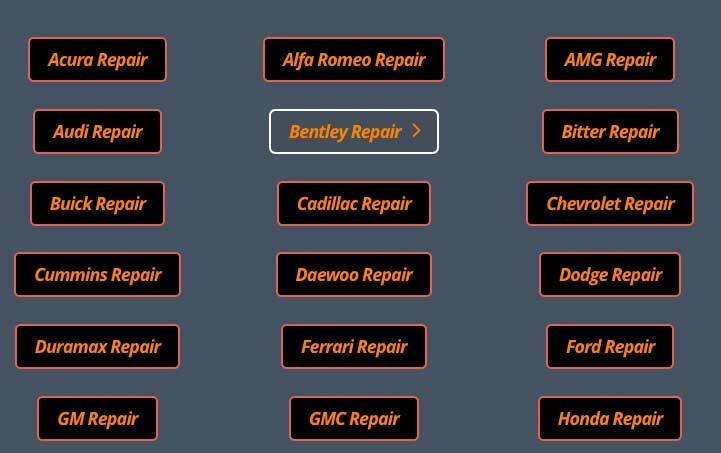 Where other local mechanics see drop-offs during parts of the year, we have steadily seen an increase in the number of customers and the quality of them. We want to collaborate WITH YOUR BUSINESS. Saul knows his stuff, and we are taking that knowledge and distribute it over YouTube Facebook Twitter Google + and his SEO optimized website. We want to do the same for YOUR B2C business enterprise.